Vintage Valentine Museum: Guitars, Banjos, and Lutes... Love with Strings Attached! Guitars, Banjos, and Lutes... Love with Strings Attached! 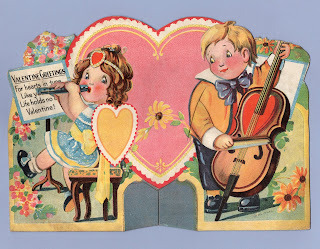 Valentine Greetings - For hearts in tune, Like yours and mine, Life holds no discords, Valentine! 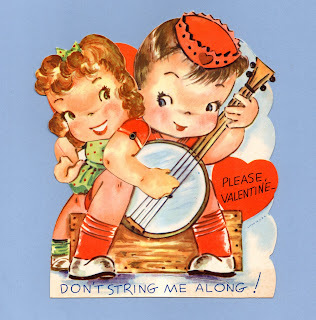 Please, Valentine - Don't string me along! 6 1/2" x 5 1/8"
A song for you my Valentine. 4 1/8" x 3 3/4"
I'm going to HARP on this to the end of time Be My Valentine. 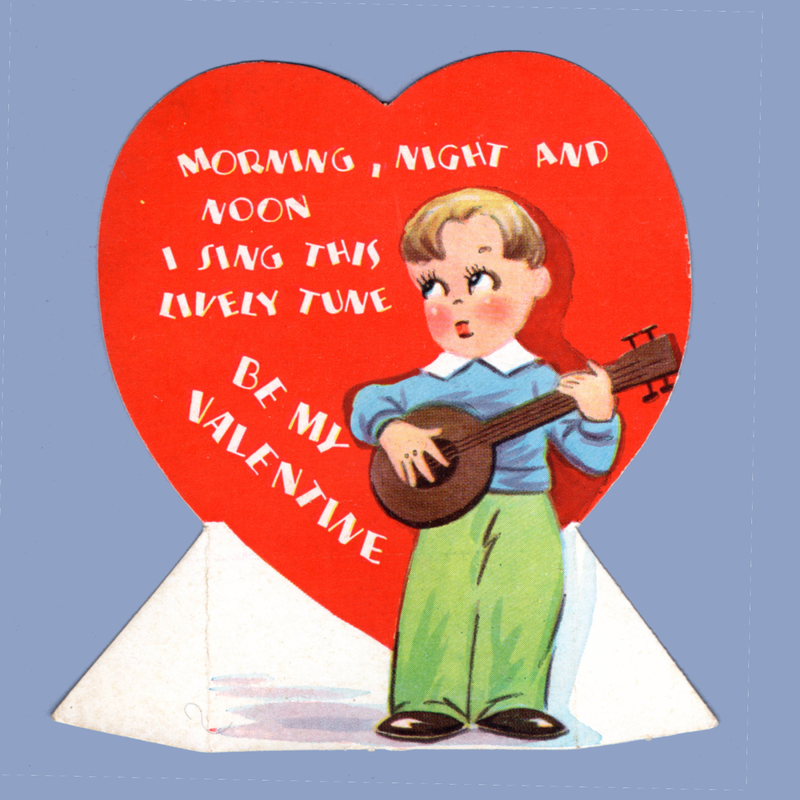 4 5/8" x 5 3/4"
Be Mine - I sing a song just for you Be my Valentine Please Do! 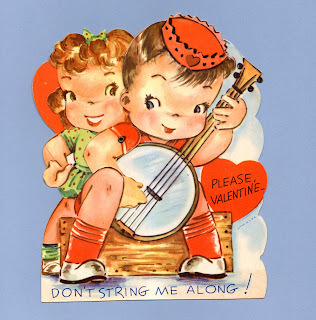 Dearest Valentine I'm keeping in TUNE with You. 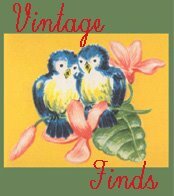 4 5/8" x 6 1/2"
To My Sweetheart ~ Valentine Greetings. 5 1/8" x 2 3/8" x 1 3/4"
I PICK you my Valentine. I keep HARPING on it - so please be My Valentine! 2 1/4" x 3 3/4"
Morning, Night and Noon I sing this Lively Tune Be My Valentine. 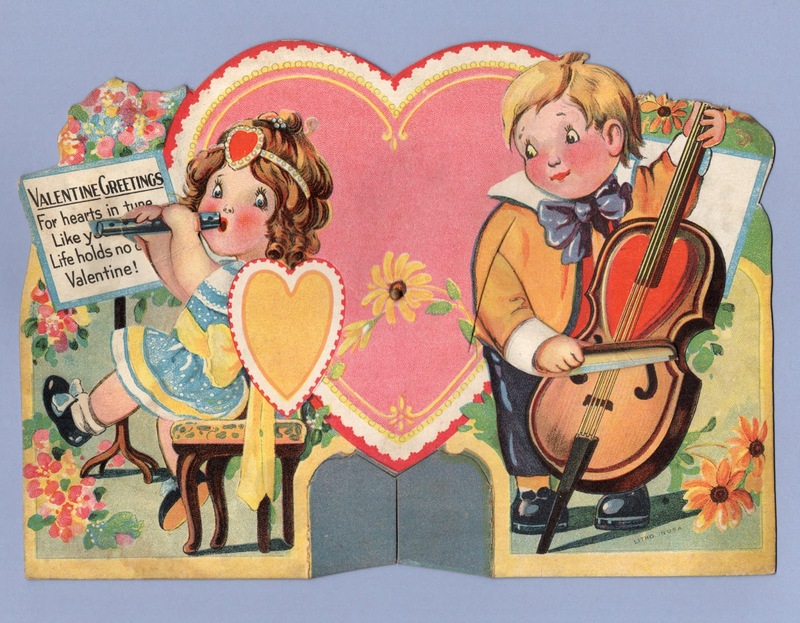 Dear Valentine I can't HARP too much on my love for you. 3 7/8" x 5 1/4"
4 3/4" x 2 5/8"